We are thrilled at your interest in our venue and are excited at the prospect of both partnering with and serving you for your event. We see ourselves as more than ‘just a venue’ or a ‘room to rent’ but as a place of partnership with the wider community. 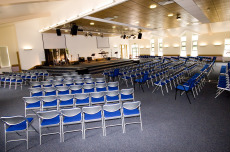 Built in 2010 to replace the old building, The Well, Retford Baptist Church is a modern venue thriving at the heart of the local community. 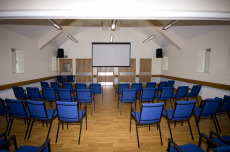 Located in close proximity to the A1/M1 and in walking distance from Retford Train Station and Town Centre, The Well is ideally located to host your event. 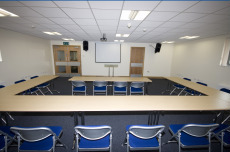 We have a variety of rooms available for hire with room capacity ranging from 3 to 320. 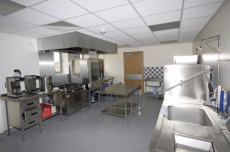 Be it a long term weekly booking, a one off event or anything in between, we are able to provide a room, required set up and catering options suited to your needs. Wi-Fi is available throughout the main building and all function rooms are equipped with a selection of audio/visual equipment. Room details, catering options and more are waiting to be looked at...so have a look and get in touch.